The Michigan Supreme Court tends to be somewhat hostile to common law, trying to find every which way to strictly rule by statute. In People v. Reese No. 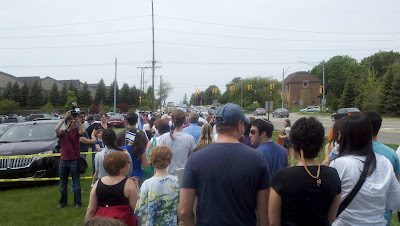 142913, released May 12, 2012, the Court ruled that the Imperfect Self Defense rule is not recognized in Michigan. The rule, whereby one who imperfectly uses force in self-defense can argue to receive a lesser conviction of manslaughter rather than murder when they do not fully follow the rules necessary for a self-defense claim, such as engaging in mutual combat or being an initial aggressor. We hold that the doctrine of imperfect self-defense does not exist in Michigan law as a freestanding defense mitigating murder to voluntary manslaughter, although we recognize that factual circumstances that have been characterized as imperfect self-defense may negate the malice element of second-degree murder. The court ruled that the murder laws were codified in Michigan prior to the creation of the common-law imperfect self-defense doctrine and as such, it is invalid and not recognizable as a rule because it was never codified. Of course, this opinion is based on some pretty bad facts, beginning with the defendant's denial that he shot the dead person and then his claiming to act in self-defense for something he didn't do. It then got better from there. Not to mention the witnesses seem to indicate this was a case of mutual combat and not that the defendant was the victim of an attack by the deceased. Not a lot of material for a winning argument, and in analyzing the facts presented this doesn't look like imperfect self defense at all. Instead it really does look more like conduct meriting a second degree murder conviction than manslaughter factually, and the self-defense claim seems a very far reach by the defendant. Unfortunately, this lousy set of facts and argument opened the door for the Supreme Court to get rid of a doctrine they don't like, and such a doctrine that could have protected far more sympathetic defendants with better factual circumstances in the future. Now instead of the imperfect self-defense rule mitigating bad circumstance self-defense to manslaughter, it will turn even more on the facts and circumstances to mitigate such a charge, making it harder for defendants in the future to take advantage of such a reduction. To err may be human, but your self-defense claim, at least in Michigan, can't be imperfect. Police are warning about the dangers of smoking herbal incense after an 18-year-old Bloomfield Township man died, apparently after using the substance over the weekend. This K2 and similar stuff is marked "not for human consumption" for a couple very good reasons. Think first that as such there is no assurance or requirement for quality, purity, or safety testing for human use. The stuff is made in China, where quality control is rather sketchy and the addition of toxic additives to ordinary items is far from uncommon. Users of K2 are betting their lives on something that even the Chinese are marking "not for human consumption". Then of course, there's the nod-nod/wink-wink attempt to sell stuff that allegedly acts like synthetic marijuana by claiming it's simply potpourri. In short, its an attempt to sell stuff of unknown quality or composition touted as synthetic marijuana to idiots who want to get a cheap and quasi-legal high. However, unlike real marijuana, K2 has a very dangerous side. K2 use by at least one teen patient led to actual holes in the brain's gray matter, visible on a brain scan, leading to permanent cognitive impairment. Not to mention that there's a real risk of death from smoking it. You would have to be an absolute moron to want to try and smoke that stuff. Unfortunately, we have a large and ever-expanding pool of morons. Expect an imminent call to ban K2, which in this case given its toxic nature is pretty legitimate, to be followed by some new and probably more dangerous chemical compound being released to skirt the law. Unfortunately, in our desire to ban high-inducing substances we often get a more available alternate produced that is actually more dangerous than the initial substance in response. Where there's a will for idiots to get high there will be a way. Think alcohol. The progressive drive for Prohibition led to rotgut and home-brews that were far more dangerous to the imbiber than the prior legal alcohol had been, not tom mention the violence associated with bootlegging and the rise of the Kennedys. Think amphetamines. Once they were restrictively regulated, we've now seen the scourge of methamphetamine, which is both more dangerous to the user, apparently easier -- though hazardous -- to make, and the creation of an environmental nightmare by tons of meth labs leaving toxic byproducts of meth production strewn willy-nilly about the landscape. We also have the effect on those of us who are non-users of drugs being carded before we can buy our allergy medication and prohibited from buying too much at one time in fear that we might be supplying meth-heads somewhere. Not to mention that I'm still annoyed at the end of the really effective NyQuil medication for a far less effective replacement just to stop a few idiots from using it for illegal purposes. Now synthetic marijuana, with far more dangerous side affects including irreversible brain damage and death, is replacing marijuana. Hardly an improvement. The consequences of banning substances seems to be the introduction of even worse substances in their place, not to mention the drain on the economy in trying to stamp out their usage. While it makes sense to ban K2 as the effects are proven to be deadly, leaving marijuana illegal simply opens the door for the next similar and unknown substance to pop up as a replacement. It's about time we give up this War on Drugs model and move to a more permissive regulatory model on the less harmful substances to discourage the use of the more dangerous ones. It won't be perfect, but it will likely be better than the insanity of the current failed approach. Not to mention that the tax revenue from the legitimate sale of such should be a welcome addition to the government fisc. In Attorney General Opinion 7265 just emailed out today, Attorney General Bill Schuette states in his opinion that State Highway markers, being part of the public domain cannot be trademarked by companies or individuals to prevent their use by others to identify goods or services. The corporations may continue to utilize the Michigan highway route marker design alone or incorporate it within another design. But they must “disclaim” any right or interest in intellectual property that does not belong to them. 15 USC 1056(a) (“The Director may require the applicant to disclaim an unregistrable component of a mark otherwise registrable. An applicant may voluntarily disclaim a component of a mark sought to be registered”). Any other individual or company is also free to use the design to promote commercial goods and services. In other words, the corporations may not exclude other persons and businesses from using the Michigan highway route marker design on the basis of trademark law because a design in the public domain generally cannot be made the subject of a trademark or other protection. As such, cease and desist letters from companies claiming exclusive rights in Michigan highway signs can be safely ignored, and everyone is free to use the signs provided they do not claim ownership of the sign elements in their works. This was a very thorough and well-written opinion (12 page with 10 pages of attachments), as we've come to expect from AG Schuette and his staff, and a needed corrective to the overreaching on the part of some companies. Seals in this case being ancient Hebrew signature seals, rather than our tough and heroic American Pinnipeds. Both seals date to the First Temple era and were found during an archaeological dig in Jerusalem. This first seal is a personal seal belonging, as inscripted, to "Metanyahu son of Ho...." with his father's name lost to history. The seal is an amazing and rather attractive tangible piece of history. The seal, used as a signature stamp for documents at the time is an interesting find from the first Temple Period. The seal is made from a semi-precious stone showing it had value and importance to Metanyahu. This second 2,700 year old seal is the oldest found non-biblical reference to Bethlehem. It was likely used to seal an "administrative tax document". Note that the seal is made from far more ordinary stone than the personal seal in the first article, but it has great historical importance showing that the existence of Bethlehem dates back to at least the First Temple period. The seal also shows that Taxes, and administrators needed to collect them, have been with us for over 2,700 years. Only 40 seals exist from the First Temple period and hopefully these archaeological digs will find more of these rare artifacts. It will be exciting to see what other historic treasures and new information these excavations uncover as they progress. In the Vatican, with the documents. Early Sunday morning, I got a dive in at Union Lake before it was overrun with boats, as Memorial Day Weekend signifies the official start of Michigan Boating Season. We did some basic drills including ascents, descents and mid water drills and we seem to be improving, even though I'm getting a leak in my suit at the wrist that is causing some cold and wet discomfort. After the dive I came home, we had lunch and then Tash got some time to herself as I took the kids to the range. We made good time getting to the range, when we got to the range, we found it empty so we setup on a convenient bay, put the shooting mat down for comfort and brought out the new rifle. The kids know that eye and ear protection are mandatory and are good about wearing it at all times on the range. 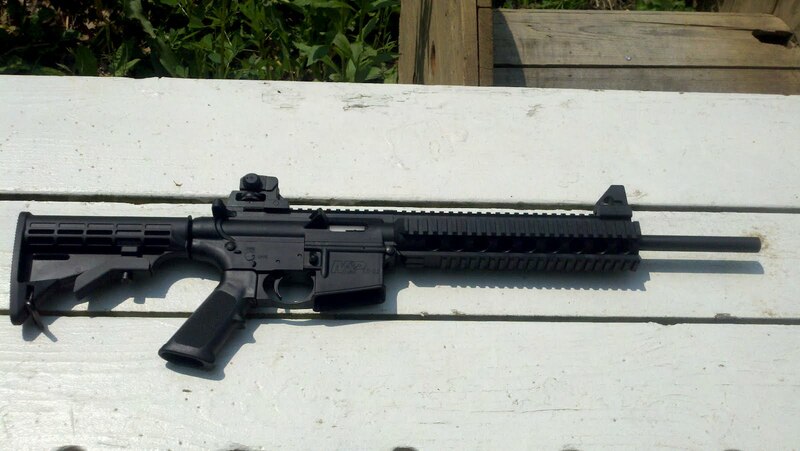 It's a Smith and Wesson M&P 15-22. It came with a 25 round magazine and the sights and controls mimic the AR-15 quite nicely. With the stock closed, Abby could shoulder it and aim, although it is still too big for Leah to do so, so I would hold the hand guard to steady it while she aimed, and she just had fun blasting away. The kids had a great time shooting at the paper and the Orange peel targets that let them see their hits. They had a great safe time and that's all that matters. They'll certainly grow into the M&P over time. Overall impression of the M&P 15-22: Very good fit and finish, excellent ease of use and it is nice and lightweight and an excellent inexpensive practice tool for the centerfire AR15s. Accuracy was excellent when I shot it, recoil non-existent. The lack of any recoil makes it great for first time shooters like the kids. It's a very fun gun indeed. 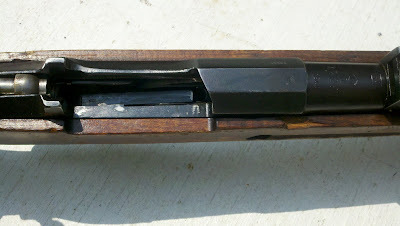 I find that the bullets in the 25 round magazine the rifle came with tend to lie flat rather than angle up to feed as they should. As such, you need to adjust them on occasion before loading the magazine into the rifle, otherwise you get a failure to feed with the initial round. Otherwise, feeding was pretty much flawless with only a few bad rounds that were more likely the ammunition rather than the firearm. I now need to buy some more magazines for it. Instead of shiny new and modern polymer, its old-school steel and wood. 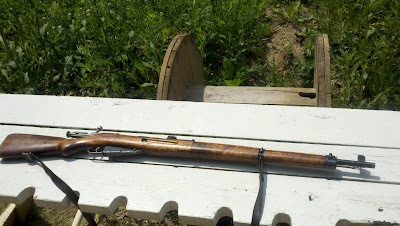 It's a 1944 Finnish M39, manufactured by VKT, Valtion Kivääritehdas, The Finnish States Rifle factory. 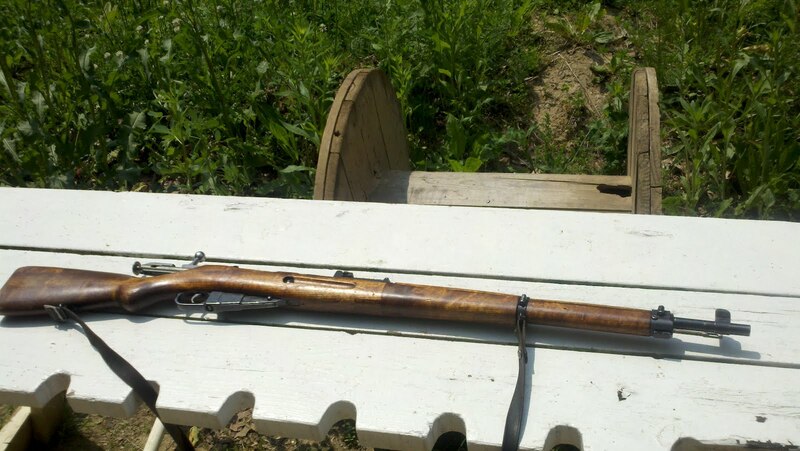 The M-39 is perhaps the finest model of the Mosin-Nagants, and certainly the ones with the best triggers. The kick was considerably greater than the M&P, as Abby found out when she insisted on firing it. Ouch, but she's fine. However, the kick was far less than my 1891 Nagant Rifle, and the stock shape seems to help with the recoil quite nicely. The M39 shot very nicely, and the bolt is much, much smoother than the average Russian Nagant rifle and the trigger was very nice indeed. I'm quite happy with it, now to find some Nagant stripper clips. We then got home and I roasted a chicken in the oven and we had a fine feast for dinner. Afterwards, I cleaned both rifles and put them away until next time. As is now a memorial Day tradition, we took the kids to St. Mary's Fair, the largest high school fair in the USA. 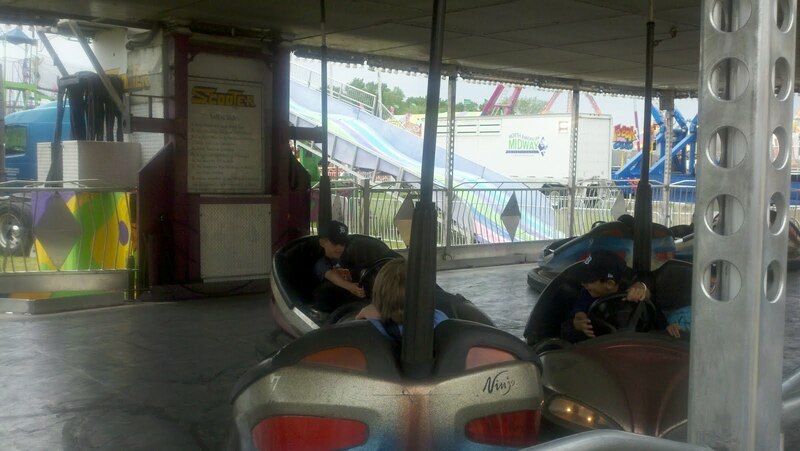 Its fun watching them grow and be interested in and able to ride a lot more of the attractions. Of course, since Natasha doesn't like rides like roller coasters and such I was the accompanying adult on all these adventures. They could both ride the bumper cars and Abby was able to drive in her own car for the first time. Suffice it to say once this kid starts driving my insurance rates are going up. 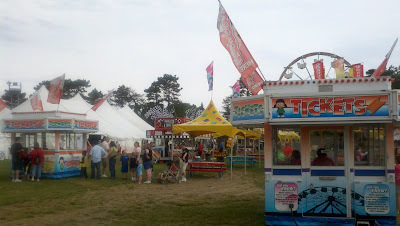 It then started raining heavily so we took a break for lunch in the food tent and Tash and I shared a great Polish combo that had kielbasa, stuffed cabbage and some other fine delicacies that was great. The kids being less adventurous had the more standard fair fare. 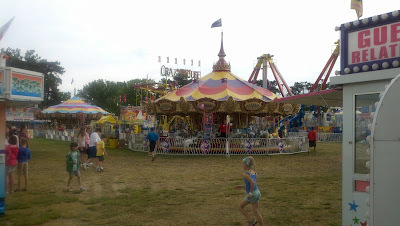 The rain stopped and we returned to the midway. It turns out that Leah is the more fearless of the two, or at least lacks a greater sense of self preservation. She enthusiastically went on the kiddie roller coasters, swings that took you very high into the air and swung you around so you were parallel to the ground in your seat, and many other attractions. 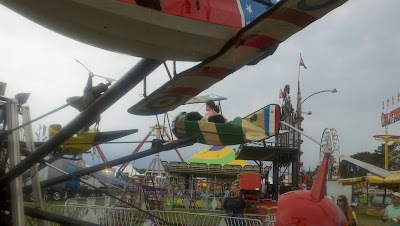 I was required to go on them with her so I was able to get the full experience. After some persuading, Abby agreed to try the roller coaster and announced she liked it, so I ended up riding it another 10 times in a row between the two of them, in every possible seat. I can report the very front is fun as you can't see what is immediately ahead, but the very back subjectively moves faster and has wilder side to side motion. 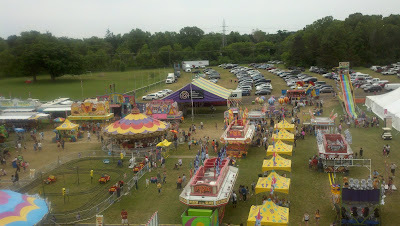 Yet another great day at St. Mary's Fair. Instapundit blogs and links to others that point out that if Facebook's low performing IPO is a scandal, then what about GM? Not to mention that criticism by Obama of Bain Capital's activities is unwarranted, considering that Bain's approach is the same as that which the Obama Administration did to GM. Significantly unlike Facebook however, GM's bailout and investment is with taxpayer dollars, rather than individuals and entities paying their own money and taking their chances. Oh, and Ezra Klein doesn't seem to be upset that he didn't get a chance to invest in GM. Then again, as a taxpayer he is invested with GM with no upside in sight. The Obama administration seems to be inexorably tied to the GM bailout with no way out in sight, and that is now confirmed. The Obama administration's nearly three years as part owner of General Motors Co. isn't going to end anytime soon. The official overseeing the government's 26 percent stake in GM says there's no timetable for exiting the Detroit automaker. In a Detroit News interview this week, Tim Massad, the assistant Treasury secretary who oversees the $700 billion Troubled Asset Relief Program, said investors aren't giving GM enough credit. GM stock has fallen sharply since its $33 IPO in November 2010, and closed Thursday at $22.37, down seven cents, or 0.3 percent. "Our perspective is that the company has made real progress, but the market hasn't given them as much credit for that as it might," Massad said. Last October, in the face of the steep sell-off of GM stock, the Treasury shifted course and said it no longer planned to exit the automaker as soon as was practical. At current prices, the government would lose more than $15 billion on the $49.5 billion bailout. It's a quagmire all right, and the Obama administration has no timetable or exit strategy for pulling out. For a guy that demands an exit strategy for every engagement, it's a pity he doesn't seem to have a workable one for GM. This exercise in rhetorical stupidity is brought to you by the people that put a $10,000 price on Zimmerman's head, intimidated voters in Philadelphia, and whose offshoot with the same name threatened to burn down the City of Detroit Down. Ah, will this be an opening for Obama to have a Sister Soulja moment? After all he's currently having a reverse Sister SOulja moment so the inverse may be possible. Should we expect the left to complain and demand action about such extremist rhetoric? I suspect we'll be waiting quite a while. According to Shabazz, dropping the 2008 voter intimidation charges against the NBPP was one instance in which Obama did the right thing. Whether this is just planned distancing so Obama can appear to be moderate by comparison, or an example of the NBPP flexing its muscle knowing they're effectively given carte blanche for intimidation by Obama's Justice Department remains to be seen. Expect more of this kind of leftist rhetorical extremism as the campaign season continues. I wonder if his mane defense will be that it was all just horseplay. The things people do to reduce the reported number of murders in the big city. Detroit police and EMS workers said Leslie Brooks died of natural causes during the weekend. But when his body arrived at a funeral home, the mortician saw it differently. As she prepared to embalm the 59-year-old Brooks on Saturday morning, mortician Gail Washington peered at a small burned area on his skin, right above his heart. Her assistants had pointed it out, and Washington now agreed: This was no natural death. You've got to hate it when an oversight like that happens. Apparently there was an embarrassing confluence of events: Inspector Clouseau was in charge of the investigation and the medical examiner on duty sure wasn't Quincy, M.E. Governor Snyder, after bending over backwards to avoid the appointment of an Emergency Financial Manager for Detroit entered into a consent Agreement with the City of Detroit that gave the City officials a rather large say in any future restructuring. Of course, that's not enough for the City Council - they went off and got an opinion from their legal counsel that the consent agreement that they voted on and enacted is invalid, based on some quite specious reasoning. Now, instead of dealing with the financial crisis, the City Council is digging its heels in and refusing to do anything until it potentially files a lawsuit challenging the legality of the agreement it signed. State officials on Tuesday criticized the City Council's decision to put the brakes on Detroit's consent agreement, saying further delays will only make the city's fiscal crisis worse. Council members postponed any action related to the financial agreement with the state while they await a potential lawsuit challenging its legality. The decision means the council will hold off on its two appointments to a nine-member Financial Advisory Board that will oversee the city's financial restructuring. Six members already have been appointed. "We're working in good faith with the agreement that was signed voluntarily by all parties," Sara Wurfel, a spokeswoman for Gov. Rick Snyder, said in a statement. 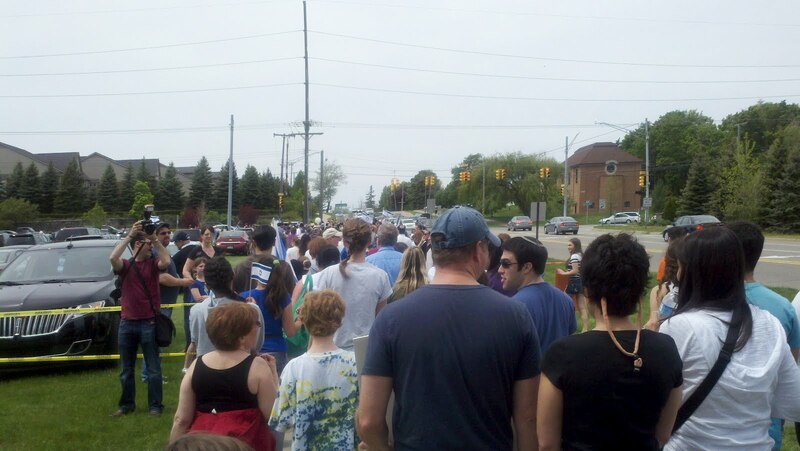 "… The city and citizens of Detroit shouldn't have to wait any longer. More delays only continue the problems of the past and make the recovery more difficult." Council members said they expect the city's top lawyer, Corporation Counsel Krystal A. Crittendon, to file a suit this week seeking a judge's ruling on whether the consent agreement is valid. Crittendon wrote to the state May 11, claiming the deal is void because Michigan owes Detroit money from a water debt and unpaid revenue-sharing funds. Council President Charles Pugh said Tuesday he's following Crittendon's advice not to move forward until the matter is resolved. A majority of his colleagues agreed. "The advice from corporation counsel is (to) not act on any aspect of the consent agreement until there's a declaratory judgment," Pugh said. Crittendon could not be reached for comment Tuesday. In her legal analysis of the consent agreement, Crittendon indicated the opinion was requested by Councilwoman JoAnn Watson. The Council has been playing Governor Snyder to buy more time at the helm of the sinking ship and to keep on fiddling, not to mention receiving $137 million in state backed funds. That's what happens when you deal in good faith with a City Council that has no intention of doing so - you get played. Fine then. Void the deal, make Detroit return the bond money and let the City continue on its self-determined path to go bankrupt with not a penny more of the State's money thrown into that mess. Anyone stupid enough to continue to negotiate with these clowns after this are fooling themselves. It's not all gloom and doom here in Michigan, and there's good people who reaffirm your faith in humanity. This kid has a 4.22 grade-point average, is the school's co-salutatorian, scored a fantabulous 34 on the ACT (36 is perfect) and plans to major in mechanical engineering with electives tailored to aerospace. And on top of that he's got real character. Read the entire linked article and you'll understand why. So a Detroit pastor takes his 2012 Infiniti QX56 and gets robbed and car jacked. When even a holy roller gets rolled at a Detroit gas station, you know its getting bad. You know the City Clowncil will have to be seen to do something because an attack on such an esteemed personage in the city is going to make the news. The latest something, since the police clearly can't protect people in Detroit: Propose an ordinance requiring gas stations to install cameras and have security guards. So the Council and also the pastor are busy blaming the gas stations. Winans also said gas station owners should also be more responsible. "You have to take charge and ownership," Winans said. "You have become complicit with that type of behavior." The incident has caused Detroit City Councilman Kwame Kenyatta to renew his effort to have gas stations and other 24-hour establishments hire security guards and institute 24-hour surveillance cameras. Former police officer and Council President Pro Tem Gary Brown has advocated that gas stations close from 2-6 a.m. in an effort to crack down on crime. Never mind that hiring security guards will likely eat up any marginal profits the stations are making in Detroit, not to mention they're already paying quite high taxes for police presence. Winans said he's not bitter and hopes the incident is a catalyst to a "sustainable initiative" to help young people. He said he's already had Gov. 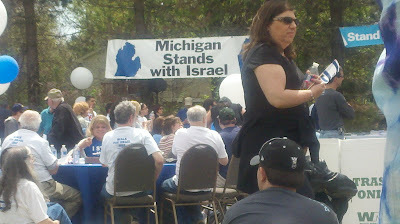 Rick Snyder pledge his support. "In our success we seem to have lost our center," said Winans, at a press conference before his sermon. "We have failed our sons and have allowed them to have heroes that are no more than thieves and thugs." "When I opened the door, I said, 'Uh oh,'" Winans recounted Sunday in his first sermon since the gospel music star's carjacking made international news last week. Inside, he saw about a dozen young men loitering in the store, but little else. Even the chips and doughnuts were behind the bulletproof glass. "Something said to me … I am not going to live in fear. I am not going to be afraid of us." He told the clerk $40 on No. 3. "I saw they were interested," he said. As Winans described to church members Sunday how he went outside and then was punched in the head, dragged from his car and kicked, prosecutors were in court charging three men with the carjacking. Note that the Pastor had the situational awareness to see the problem develop but bravely carried on to show how unprejudiced he was to not be afraid of some youthful thugs that had his same skin color - noble but stupid. While certainly not blaming the Pastor, when your instincts are telling you to get out of the situation, you should listen to them before it escalates, no matter how noble and unprejudiced your inner voice may be to try and overrule them. Update: Adding to the situational awareness problem already evident in the case, it turns out that the pastor was driving on a suspended license that night. I'd be remiss if I didn't happily report that today marks my and Natasha's 16th Wedding Anniversary. Apparently the traditional gift for a 16th anniversary is silver holloware. Here I was thinking the 16th was rust. We celebrated in a rather low key fashion: We went to see Leah's ballet recital where she did a great job in her first ever ballet performance. Very proud parents we are indeed. Then we went out to lunch at Noodles and Company which was quite tasty and had something for everyone, and then took the kids for cupcakes for dessert and headed home to relax. The more I think on the Ezra Klein article, the more this just seems to reflect what Instapundit calls the inter-elite class struggle. In this case a well-to-do elite Democrat Journolister versus the now even richer elite Democrat Facebook investors. After all, Facebook is quite a blue company. A look at its political contributions shows it to be a loyal Democrat contributor, with payments to Nancy Pelosi and other Dems. Even a look at their individual employee contributions shows a massive majority giving funds to Democrats. It could just be that Klein is annoyed that he wasn't an accredited investor and couldn't get in on the deal like his other blue elite friends. So the whole outrage and bemoaning of lack of opportunity to invest expressed in his article is really just a reflection of the ongoing blue-on-blue extravaganza. The lesser elites annoyed that the greater elites just got an opportunity to widen the gap between them. An oil company exploration crew's chance discovery of a 200-year-old shipwreck in a little-charted stretch of the Gulf of Mexico is yielding a trove of new information to scientists who say it's one of the most well-preserved old wrecks ever found in the Gulf. Accompanying the article is a series of cool pictures of the remains of the ship, with the copper sheathing still in shape of the hull. "It was actually a fairly hazardous place to be if you were a merchant ship, so it was not unlikely that you would be carrying a cannon on board to protect yourself," Irion said. Yep, civilians owned cannon in those days and American privateers gave the British a major headache in the War of 1812. A very cool find. Resting in 4,000 feet of water means it is way, way too deep for diving. 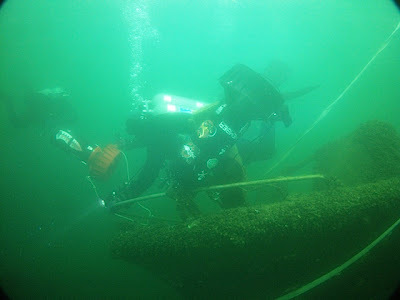 I hope they do survey the wreck site and retrieve all the artifacts they can. 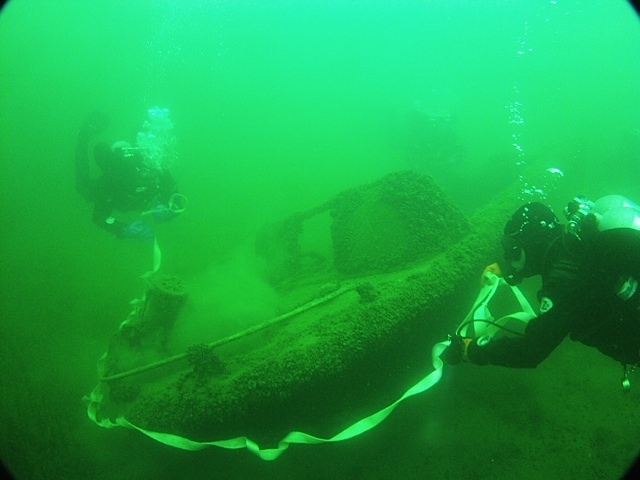 With the bicentennial of the War of 1812 upon us, the display of items from a newly discovered wreck of that era would be timely indeed. Thanks to Tam for her post on Ezra Klein's umbrage over Facebook's IPO, I got a chance to read her erudite and witty smack down of his disingenuous article, and it lead me to think about what Mr. Klein is really complaining about. But to have gotten a big chunk, and to have gotten it early, when Facebook wasn’t a $100 billion company, you had to be rich and well-connected. You had to have millions of dollars to start with, and you had to be the kind of guy that every entrepreneur in Silicon Valley would do backflips to take a meeting with. This, really, is the story of modern income inequality in America: the rich and the powerful and the well-connected getting richer and more powerful and more well-connected. You heard the line "the rich get richer"? Well, this is how they get richer. The real funny thing about this outrage on his part is that it's the guys on his side of the political fence that stop the average mom, pop, uncle and auntie from investing money in the initial stages before they go public and thus stop them from both probably losing their shirts but also from reaping such high returns. Look up the term "accredited investor". That's the rule that prevents anyone from investing in such risky start ups unless they have the appropriate annual income or a million dollars in net worth, not including their primary residence. That rule was put in place starting in 1933, by Democrats, and the increase in qualification amounts and the residence exclusion were just added under Dodd-Frank to keep ordinary people out of these investments. You know, for their own protection. That does tend to remove the vast majority of people from being able to invest. Its not being rich and connected that lets people in on these deals - it is that by law its illegal to even let you in on the deal. If the company tries to let you and you don't meet these qualifications, they're committing a criminal act. Of course, accredited investors turn out to be not so sophisticated after all, and tend to lose their money on such speculative investments in impressive fashion. Of course they're allowed to try and often times they hit it out of the park. It's when they make such a home run, of course, when people like Ezra Klien come along and bewail the lack of opportunity for the average person to get in on such deals. When they lose millions on the deal, not so much. It's a little hard to rail against the lack of ordinary people to get in on such an opportunity when its your own side's policies that's stopping them from doing so. But then again, Klein and friends don't seem to have an issue with that. 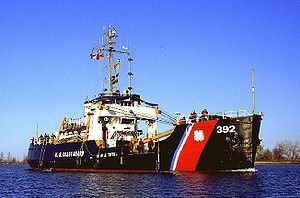 A famous US Coast Guard vessel, the USCGC Bramble has some historic achievements under its waterline including: first circumnavigating the Northwest Passage, being the first American surface ship to circumnavigate the North American continent, and surviving atomic bomb testing. The 68 year-old ship is now either going to be purchased, scrapped, or designated a historic ship on the National Register of Historic Places. The museum currently owning the ship is trying to sell it for $300,000 due to a lack of funds to maintain her. At least one of the Museum volunteers is trying to get her designated a historic monument as described in the article, and I hope he achieves his goal. 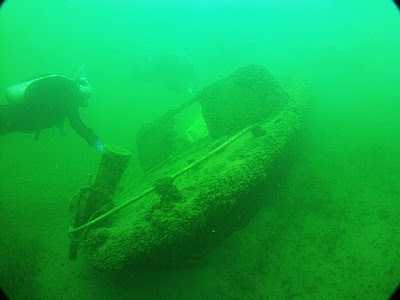 The Bramble was also one of the ships involved in the search for the SS. Daniel J. Morell after the sinking of the 603 foot long freighter in a November storm in 1966. The Morell split in two, with the after part of the ship continuing to travel under power for 5 miles before sinking, and 28 of the 29 men on board were lost. An interesting account of the Bramble's search for the SS. 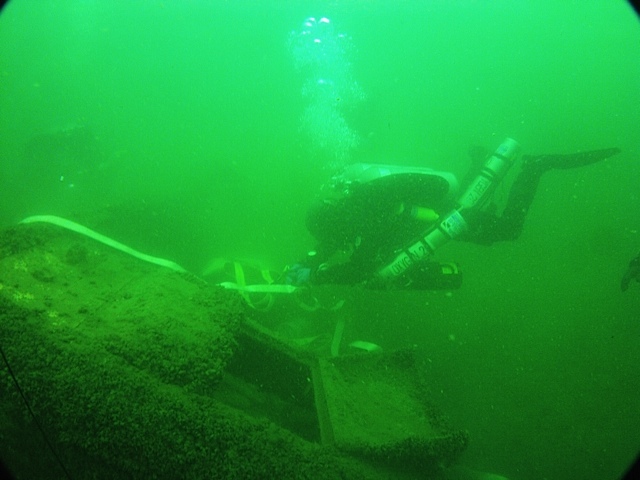 Daniel J. Morell's survivors, and for the sunken ship itself, by a crewman of the Bramble present for the search and initial dives on the wreck can be read here. If this effort to gain historic landmark status, and the presumed funds that may help preserve the Bramble fails, then instead of scrapping it I hope they consider deliberately sinking it as a monument preserved in the fresh water of Lake Huron where she plied her trade. She'd be quite the historic ship to dive on, and it would be a far better fate than being turned into razor blades. Metro Detroiters will no longer have to hit the road to the Ohio state border now that the region's first large-scale fireworks store officially has opened for business, a result of a change in Michigan law. Black Diamond Fireworks on Van Dyke, a 4,500-square-foot oasis filled with cases of sparkly explosives, opened this week to the curiosity and enthusiasm of a small but steady stream of customers relieved that they no longer have to travel to Ohio or Indiana and sneak certain fireworks back into Michigan. The ban on powerful fireworks — such as bottle rockets and Roman candles — was removed at the beginning of the year. Of course, there are the standard concerns of roman candles in the streets as evidenced by the hand-wringing comments accompanying the article. I'm sure the first idiot to say "Hey, y'all watch this!" with a firework will make the front page of the paper, but its about time you could legally buy and possess a bottle rocket in Michigan (which, contrary to the article is hardly a high-powered firework, yeesh). The law was previously pretty universally ignored with an outpouring of cars heading to our neighboring states every year in July to load up for the 4th of July celebrations, and only the occasional returning car busted for buying the forbidden fireworks. It's gratifying that Michigan adults are now going to be treated the same as adults are treated in Ohio and Indiana, at least as far as fireworks go. Auditor General Thomas McTavish's office compared the state's registered voter files with death records and found 1,375 deceased individuals cast 1,381 ballots between 2008 and 2011. Ninety percent of the ballots were cast by absentee voters and 10 percent voted at the polls, according to audit report. In response to the audit, Secretary of State Ruth Johnson's office said no voter fraud was at play, and instead attributed instances where records show incarcerated or deceased individuals voting as an error by local election clerks. Some of the individuals may have legally cast an absentee ballot and died before the election, election officials said. The audit also matched incarceration and voting records and found 48 individuals who were imprisoned at the time voted 52 times during the audited time period of Oct. 1, 2008, through June 9, 2011. The auditor general's office matched those records with the names, dates of birth and Social Security numbers of inmates, according to the report. The names and birth dates of another 65 prisoners also matched records of 68 votes cast, but state auditors said they were unable to match Social Security numbers. McTavish's office recommends the Secretary of State's office further investigate those votes cast to determine if they were in fact prisoners. For both groups of inmates, someone voted in person under their name 85 percent of the time, according to the report. Nope, nothing to see here, move along, it's all just clerical errors (or an admission that its hard to prove this type of fraud). The auditor's findings are likely to fuel a push in the Legislature by Republicans to require photo identification to cast an absentee ballot. Lawmakers also a pursuing legislation that would require voters to affirm their U.S. citizenship at the polls because an unknown number of legal immigrants have been registered to vote over the years when they obtained drivers licenses at Secretary of State's branch offices. Providing Photo Id at the time you pickup your absentee ballot would make a lot of sense and prevent a lot of opportunities for vote fraud. We can of course, thank President Clinton's Motor-Voter law for letting non-citizens register at Secretary of State offices nationwide and vote. David sent me the pictures of the Sunday Boat Relocation Project. Here they are for your enjoyment. 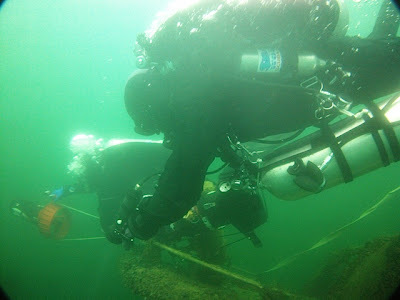 I'm the diver in the orange gloves for this one. Quite the fun experience, you don't get a dive like that everyday. What was supposed to be a fun night out with girlfriends for a young Detroit mother ended in tragedy in Pontiac early on Mother's Day, leaving her family hoping for an arrest. Shuntrice Sylvester, 19, was on her way home, sitting on a party bus outside of Porky's nightclub just after 2 a.m. Sunday when she was shot and killed, her father, Markell Smiles, said today. Also killed was Anthony Ellis, 28, another passenger on the bus. Investigators say a 30-year-old Clinton Township man was standing outside the party bus at Kennett and Baldwin when a black man about 6-feet tall, weighing 180 pounds and with braided hair, a red shirt, black jeans and a gun, demanded cash and the victim's Cartier glasses. When people on the bus started to yell, he shot into the party bus, killing Ellis and Sylvester. 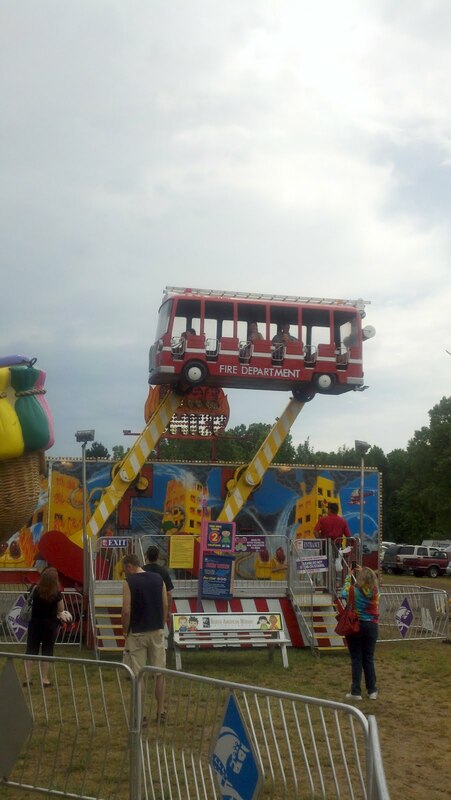 None of the other 17 people on the bus were injured. Sylvester, who attended Pershing High School, got her GED so she could care for her baby, Shunjuarel, now 1 1/2 years old, said her father. Partying in Pontiac at 2 am is typically not the best thing to be doing on Mother's Day, or any other day for that matter. What is a 19 year old with a 1 and a half year old baby is doing out partying at 2 am on a Sunday anyways? Highly unfortunate that she was in the wrong place at the wrong time and a thug nearby that just started randomly shooting at the bus. So we all met this morning at Union Lake on a cold Mother's Day morning nice and early to get a dive in. "Were going to go move a boat today"
Brandon had brought his two 500 lb lift bags and tow straps, the three of them brought their scooters and the plan was to move a large speedboat boat about 500 feet and get it on the line instead of its current location that was quite inconvenient. So we were each given a job. Jeremy and I were to attach a tow strap under and around the bow, Jeff and Michelle would get the stern and James would hook it up while Dave took pictures. Then Chad and Brandon would come in with the lift bags after marking the spot where the boat was to go once it was mobile. Simple right? So we headed for the boat. On arrival, we just hung around waiting for Brandon and Chad to come back and started doing a basic six drill to pass the time. Practice is paying off as my buoyancy was pretty decent. Chad and Brandon soon reappeared and James handed Jeremy and me the bow strap. I unraveled it and then we got it under the bow and each went to either side of the boat. With a see-sawing motion we worked the strap farther in and under the boat and then we brought the ends of the straps to James for him to hookup to the lift bag clips. Each bag, as before could provide up to 500 pounds of lift. There are two places you don't want to be when a boat is being moved: above it, or most especially beneath it, because if it slips from the straps, it is dropping straight back down. So the boat lifted off after the bags were inflated, creating a massive silt cloud. It's rather cool to see a boat rise off the lake-bed and then emerge from the silt just hanging freely in the middle of the lake. The boat was stabilized at about 16 feet and the scooters were used to drive it to its new location and its now resting in about 30 feet of water along the mainline, about 200 feet away from another boat so it is in a much better location. 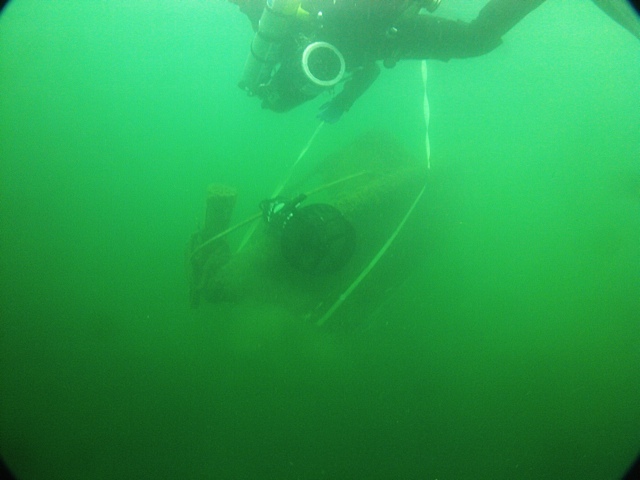 We moved the boat to its new location, dropped it in place and headed back. 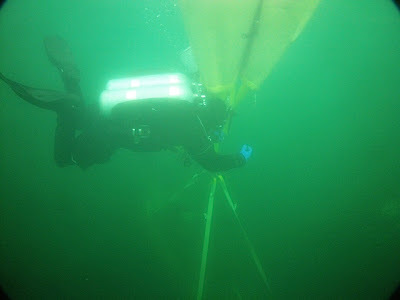 The whole dive took 63 minutes and was certainly a fun and interesting experience. So, I'm selling a surplus Marine ILBE backpack on Ebay. The pack is great - internal frame, comfortable, great for camping etc. I put up multiple photographs showing exactly what is included, namely the mainpack and it is titled as such. Because these packs are so modular (you can add different hip belts, pack tops, sleeping bag and radio carriers and more to it) the picture and description both explicitly say its the main pack and anyone looking at the pics can tell its just the pack. As you should know, it is a modular pack and the main pack is as it is. What you see is what you get so no there is no hip belt, add-on top cover, mortar tube carriers, sleeping bags or other. Do try to be less insulting next time. So let me see if I got this straight: You ask a question about an item for which there are multiple pictures showing exactly what it has, and to which I give a detailed and correct answer. You then reply in an insulting manner. I then reply again with a further detailed answer and you again reply in an insulting manner - so, who's being the politician here? In any case, it is obvious that you're trolling and not serious about bidding on the pack. As such, I bid you good day and have a nice weekend, I know I certainly will. In short, that user was the standard keyboard kommando - less interested in bidding and more in just being an impolite jerk and troll. Ah well. Yep, the press in its attack dog on Republicans mode and has dug up an incident involving Romney -- dating back to 1965. As a student at Cranbrook in 1965, Mitt Romney led a group of classmates in an attack on another student who was held down while Romney clipped off his long blonde hair with scissors, the Washington post reported today, quoting other students who participated in the incident. In an interview Thursday on Fox News radio Romney said: "Back in high school, I did some dumb things. And if anybody was hurt by that or offended by that, I apologize." "There is no question I became a very different person since then," Romney said. Yep, the focus is on Romney's mistake in committing a prep school stupid prank that took place in 1965, over 46 years ago. Meanwhile, the press remains rather wholly incurious over our current President's past and indeed in his administration's current and far more serious scandals. If they have to dig 46 years back to come up with bad things about Romney, it indicates a fair bit of desperation on their part. Or, this is just the opening salvo in the MSM's bid to deliver their 15 point boost for President Obama this go-round. However, It is rather refreshing to see the media curious again about a presidential candidate. I guess it takes a Republican contender to make the media return to their watchdog rather than lapdog mode. Reciprocity, Tasers, and Positive Firearms Coverage, Oh My! 2. Governor Snyder signs law allowing Concealed Pistol Licence holders to carry tasers under the same rules as for carrying a concealed pistol. Notably, the antis go into frightened hysterics in the comments accompanying the article, with the same unoriginal fears of "shock in the streets" rather than blood in the streets - the same old hand wringing and scare tactics as usual. 3. The Livingston Daily also goes on to have a relatively balanced piece on the proposal to reform the carry laws to have a second level permit that allows carry in the current forbidden zones. Of course, they give the first lengthy comment to an anti claiming that it will increase danger in schools, because we all know that the law totally stops criminals from bringing guns to schools now right? The proposed change in the law is causing some worries. A dispute among divorced parents in a school principal's office could take a fatal turn if a parent is carrying a firearm, regardless of training, said David Campbell, superintendent of the Livingston Educational Service Agency intermediate school district. "The principal should never be wondering, 'Is this person going to have a gun?' " Campbell said. "I don't think schools should be absolved from the gun-free zones. I think we should be protected in that way," he added. A little magic thinking about the power of a law to stop someone bent on mayhem from carrying there, now isn't it? I'd be worried if Superintendent Campbell is telling principals in his district that they currently have no need to ever worry about firearms in their schools thanks to the current law. Sheesh. Not a bad round-up, tempered by the ridiculous grandstanding of some Democrats in the House to try and tie repeal of stand your ground laws to highway financing (note: that's one heckuva constitutional stretch there Dems, the seat-belt/highway funding doesn't analogize. Idiots). On the upside, it provides further evidence for the the point that yes, the Dems are still trying to be active on the gun control front. Update: That bit of Democrat anti-gun grandstanding didn't last long: Amendment withdrawn before being found out of order. U.S. Rep. John Dingell will file petitions today seeking re-election to a record 30th term in Congress. The Dearborn Democrat, who said his work is unfinished, will hold kickoff events in Trenton and Ann Arbor. If re-elected, Dingell would become the longest-serving member of Congress in June 2013, surpassing former Sen. Robert Byrd of West Virginia, who died in 2010. Dingell, 85, became the longest-serving member of the House of Representatives in February 2009. He was first elected to fill his late father's Detroit seat in 1955. "It's not how long you serve, it's how well you serve," he said. 30 Terms? That will be 60 years in the House of Representatives - far longer than I've been alive and indeed longer than the median age of the population of the State of Michigan, which is 35.5 years. He's been in Congress since longer than half of the population of this state has been alive. When Dingell first entered Congress in 1955 the Minimum Wage was 75 cents an hour, Eisenhower was president, it only cost 3 cents to mail a first class letter, and the Brooklyn Dodgers had beat the Yankees in the World Series. Yeah, that's how long he's been in Congress. I understand he wants to beat Robert Byrd's service record, but it is getting riddiculous. Dingell, even as a liberal Democrat with a bent towards nationalizing health care and a push for big government is not the worst Democrat in office by far (generally his support for and from the automotive industry is keeping him from going all the way on job-killing legislation in the name of the environment). But really, the guy hasn't held a private sector job since before 1955, and he then only had one for a short while before jumping onto the public sector career path. The man is the career politician's poster boy of a career politician. This from the guy in charge of the department and at the very least aware of the program funneling guns to Mexican drug gangs. Calling the homicide rate among young black men unacceptable, U.S. Attorney General Eric Holder on Sunday said his department is committing "unprecedented" resources to address violence to which young people are exposed. Addressing more than 6,000 at the Detroit Branch NAACP's Fight for Freedom Fund Dinner at Cobo Center, Holder, the nation's first African-American attorney general, said an average of two young black men a week are killed in Detroit, according to one report. And 60 percent of young people are exposed to violence as victims or witnesses. "This is shocking and all of this is unacceptable," Holder said. Holder said that's why his office is directing resources to reduce childhood exposure to violence, raise awareness of its ramifications and study its causes. 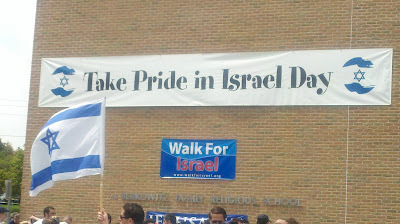 In addition to diving, today was also the day for the annual Walk for Israel here in the Detroit Area. 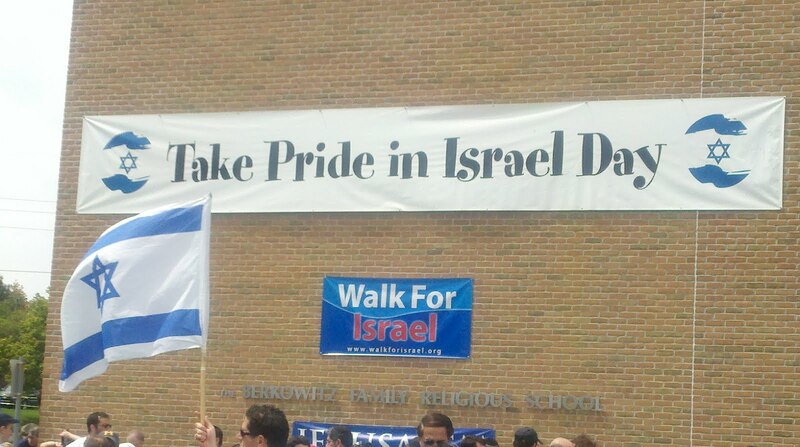 So right after the dive, I quickly changed and headed to Shir Shalom Synagogue which was hosting the walk and served as the origination point. There was a very large turnout and the parking lot was full when I got there so I parked elsewhere and then linked up with the family and friends. There was pizza, bounce houses for the kids, and speeches from various notables as people arrived. 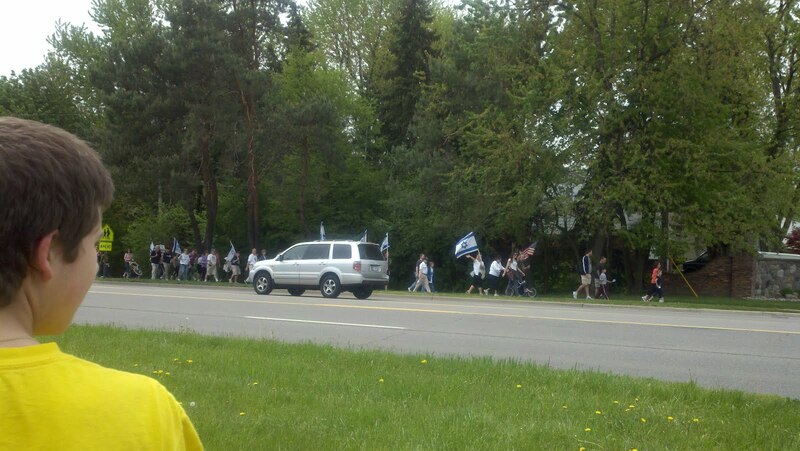 Lots of US and Israeli flags were handed out for the march. It was a big turnout and at the turnaround point it looped around with lots of families marching together. 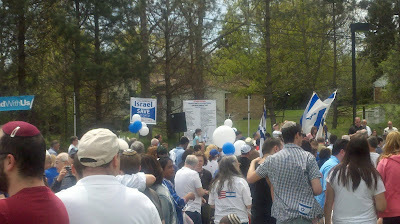 A great turnout, I'd estimate over 3,000 people in a very well organized, enthusiastic, peaceful, and orderly event. 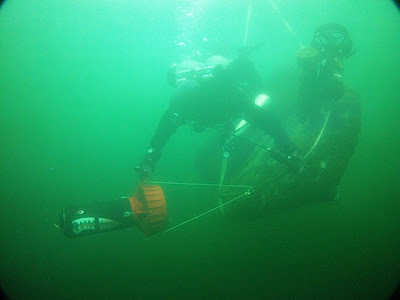 This morning I had arranged to go out diving with Jeremy to get some more practice in. 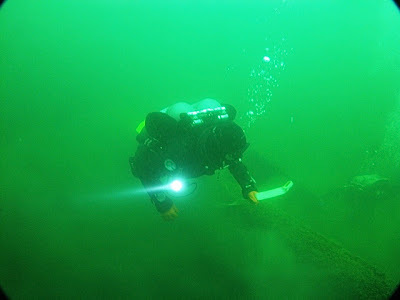 I arrived at Union Lake at 10, and Reichy was unexpectedly also there waiting for the other divers who all failed to show. Probably the rest were busy recovering from wild Cinco de Drinko festivities. So Reichy decided to come with the two of us for a dip, and he was excellent in the water as usual. We geared up and got in the water and headed out to the sunken pontoon boat. Jeremy and I did the James 20 minute hold still challenge and I started doing the basic six during that time to fight off boredom and work on both skills and staying in one place at the same time, which I was able to do, so this 20 minute hovering is really starting to pay off. Then we did a quick basic six which went well, then I did a valve drill where I had a little buoyancy control issue. I got it done but it sure wasn't pretty. On the upside, no popping to the surface, but it was not nearly as smooth as it should have been. On the spool attached to the float, he had marked every other foot with a black marker, thus making it a cinch to monitor your ascent rate and ability to hold steady at a given depth - just stay within the markings and you're at the same foot level. Absolutely brilliant, and it made a real difference. Now I have to mark off my float line as well. The ascent was very smooth thanks to those markings. 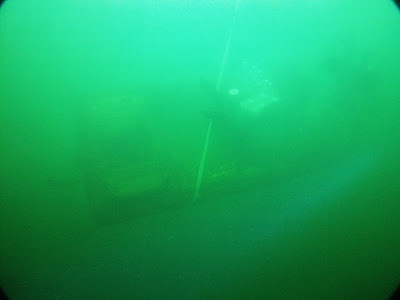 We then descended and took the north line to another boat and swam around it a bit. I also practiced my back kick by swimming in under the dashboard of the boat and then kicking backwards out of the boat without touching anything and it went very well. 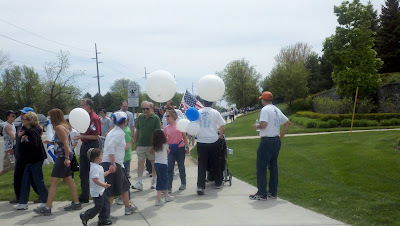 We then headed back in. The water was about 54 degrees and it was a nice sunny day. 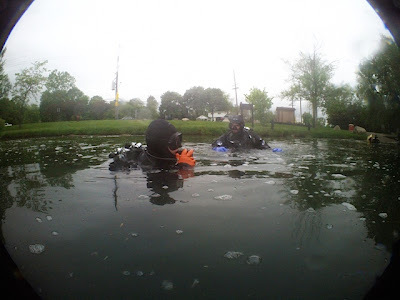 A nice hour-long practice dive. But the Detroit automaker, which reported $1 billion in profits for the first three months of the year, has legally avoided paying U.S. federal income taxes since exiting bankruptcy. And GM likely will pay no income taxes for many more years. A series of Treasury Department rulings since 2008 let GM use $18 billion in losses — from the "old GM" that was left behind in bankruptcy — to offset any profits. But some experts have criticized the U.S. Treasury's decision as part of its $49.5 billion bailout of GM to allow the company to retain the losses of its predecessor General Motors Corp. Under the 1986 law, a change in control of a company typically limits the use of tax losses by the company. That's to prevent "trafficking in tax losses," where big profitable companies could buy money-losing firms to reduce their tax bills. The Treasury has allowed many companies that received big government bailouts to retain tax losses estimated to cost the Treasury more than $100 billion in tax revenue. That includes companies like AIG, Citibank and other banks. Since the government owned 61 percent of GM after it exited bankruptcy, the credits should not have transferred, some say. "It was basically just ignoring the law," said J. Mark Ramseyer, a Harvard law school professor who wrote a 2011 paper on the Treasury's decision to exempt GM. Well yes, when convenient, the Obama administration seems to be quite flexible on the whole concept of the law when it gets in the way of things. "Had the president tried to give GM $18 billion forthrightly, voters might have complained. By hiding the gift in an obscure tax section, he reduced that electoral scrutiny," Ramseyer and Indiana University business professor Eric Rasmusen wrote. The bailout that keeps on giving. "GM Alive" sounds better than "GM on perpetual taxpayer life support" as a campaign slogan, and fits better on a bumper sticker. It is no wonder that Obama proceeded as he did with hiding this additional bailout-that-is-not-a-bailout-on-top-of-the-original-bailout. Because people found in locked-from-the-outside sports bags might have died of natural causes, of course. A coroner said Wednesday a British spy whose naked body was found inside a locked sports bag was likely killed in a criminal act, but acknowledged the riddle of how he met his mysterious death may never be solved. Coroner Fiona Wilcox said it was unlikely that the demise of code breaker Gareth Williams, 31, would "ever be satisfactorily explained," despite a 21-month police inquiry, and seven days of expert evidence to an inquest hearing. Ok then, it's too much, I suppose, to expect the coroner to declare in the words of the Bard: "Murder Most Foul". After a 15-year treasure hunt, a farmer and aviation enthusiast struck gold, uncovering as many as 20 World War II-era Spitfire planes buried in Burma at the end of World War II -- a find he may lose to the British Donald Trump. In April FoxNews.com reported the discovery of the priceless booty, a squadron of the legendary planes perfectly preserved in the chests they were shipped halfway around the world in. They were waxed, wrapped in greased paper and tarred to protect against the elements. They were then buried in their shipping crates, rather than let them fall into enemy hands. The long-lost planes were discovered after a $200,000 quest by aviation enthusiast David Cundall. 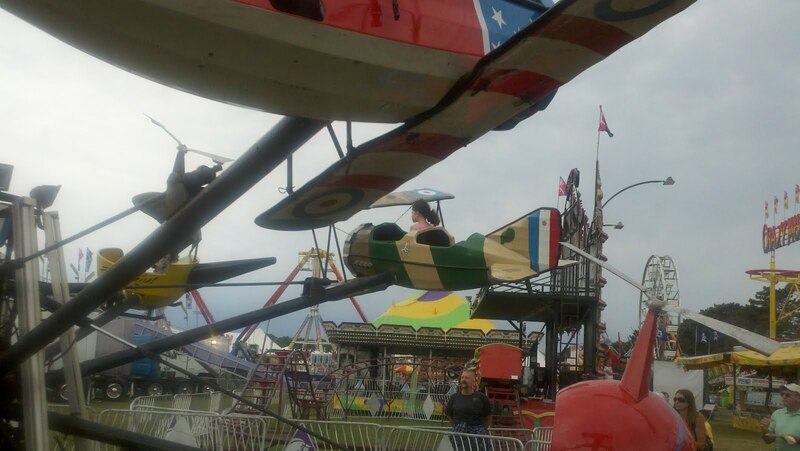 Quite the World War 2 aviation discovery. If all 20 Spitfires can be returned to air worthy condition, that would increase the number of airworthy examples remaining by 50%, which gives you idea of how few of these old warhorses remain of the 20,334 originally produced.